It is no different in Poland. Earlier this month free transport was provided in Warsaw due to the smog levels. 33 out of the 50 most polluted EU cities are in Poland. The problem in Poland is that the government has still got it's head in the sand regarding the burning of coal , which is how most homes are heated, and is still bailing out Polands' mines which are billions of Złoty in debt. Mines in Poland are very deep and it is this that is the problem. Extracting coal is far more expensive when the mines are up to 1200 metres deep. The mines are just not economic. Sooner or later Poland will have to look at alternative energy, or look at clean coal technologies, although how effective these are I have no idea. Even for those climate change deniers, there is no getting away from how harmful to health the resulting pollution from coal burning is. Are we talking about cult? Deniers? What is that? Euphemism for heathens? Poland has no money for radical change in this regard. Do you know anyone who is willing to put about 100 to 500 billions of Euros to pay for that transition? Also coal is a strategic resource. Sure technology should be applied to reduce significantly emissions of the substances harmful to the health of the populace. That one is obvious. Poland has specific problems with government and with a bunch of internal issues. Poland shouldn't have joined the EU - it has done more harm that good for the country. I think the reason as to why people are sceptical is because the name has been changed from global warming to climate change. I think the name is changing more than the actual climate to be fair. Poland blocked combined European efforts to take stricter climate actions until 2020 for the third time. Poland again is the smart one in all of the EU. Neither is America as it is one big lie to make the rich richer and the poor not being able to become independent EVER ! There has been no solid scientific evidence of this hoax yet, besides speculations. Trump will announce today @ 3p.m. (at 8p.m. 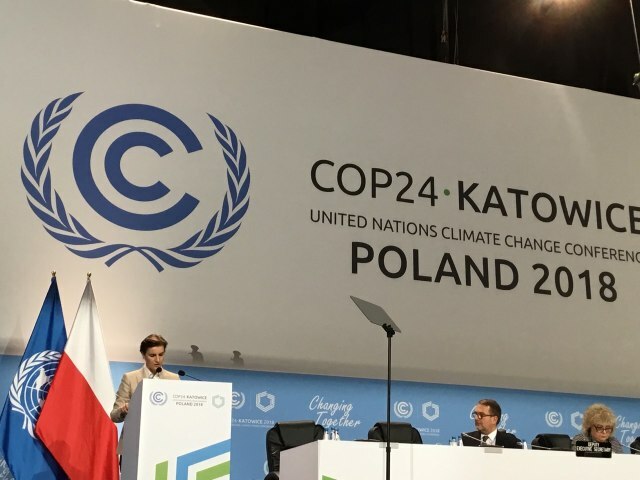 Poland's time) whether the U.S. will withdraw from the Paris accord on climate change. If Trump doesn't stop this nonsense now our (all of us) freedom of being independent in this world will be lost forever. This is much bigger then the bias socialist liberal media is letting on to educate the people on the truth of the matter. Poland was right on five years ago and hopefully will stand strong again today. Trump just announced that the U.S.A. has withdrawn from the climate agreement. Trumps a complete failure. Made in amerixa is unbuyable. A lot of low information foreigners such as yourself say that. In essence all Trump has been doing so far is draining the swamp and cleaning up obama's messes like this Paris accord climate change hoax. He has accomplished more in his first five months then obama did in the last five years. Just watch how he keeps right on steam rolling in his second term in 2020. I think you Auzzie's are just jealous watching Trump making America Great Again. Before people criticize his decision, go read the Paris agreement. It`s really a raw deal for the American taxpayers. Just because we aren't into this bad Paris plan, doesn't mean we can't contribute as a nation on our own terms. Other countries such as India would get billions of our money and they would be able to open 300 new coal plants with no accountability. Another Obama sell out America plan for political reasons! Glad he's gone!!!!!!!!!!!! Trump is willing to sign a deal just not the Paris one selling the United States down the river. The U.S. just wants to play on a level playing field and protect it's citizens. A recent report commissioned by the oil industry backed American Council for Capital Formation found that the deal would eliminate $3 trillion in GDP and 6.5 million jobs by 2040. India and China certainly aren't going to stifle their economy because emissions. America has been at a disadvantage to the rest of the world for to long now. Make America Great Again by putting it in the front of the pack. Trump is a loser the only jobs you dumb pricks are getting is cleaning out toilets. Made in usa now means made by morons. Good luck selling us anything. Laughing stock of the world. Save ypu failed high scoschool ol science for your drugged out mates. Save ypu failed high scoschool ol science for your drugged out mates. In English please, stop doing drugs we can't read this scribble. You clowns are so jealous because we no longer going to take any of your BS. Trump made the right call, America first! We would lose millions of jobs and billions of $$ and only to reduce pollution equivalent to what China produces in 2 weeks. Another gigantic Obamafail! These idiot lefties don't care that this agreement would only make a very small difference in average temperatures, assuming the forecasts are right. They also don't care it would cost us billions and billions of dollars to participate. Its the PC thing to do, thats all that matters to them. Obama cared more about foreigners than US citizens! The Paris deal relies on VOLUNTARY reduction in carbon emissions, according to standards each nation sets for ITSELF. Countries can change their standards or simply NOT ABIDE by them. Enforcement is weak, at best! If ultra liberal, King of climate change (AL GORE) house gobbles up 34x more electricity than everyone else`s home, he doesn't seem very worried about it, huh? Who cares what trump says on anything. No way he will get in again. He is failing to pass any bills. As for his opinion on science....lol he is too dumb. More and more of these liberals and hollywood elitists lecture us on climate change then hop on their gas guzzling lear jets. Wait, Trump and his moronic followers use this all the time. Fake Fake Fake. They've done it again - as the article below states, it's beyond parody. Location Katowice, sponsored by the coal industry, welcoming party Coal Miners' Band, conference centre decked with coal including coal jewellery and cosmetics, whilst Duda cheerfully announced that there are 200 years worth of coal supplies left in Poland and they should be used. Surreal doesn't begin to describe it. To be fair, the air is cleaner now (but only because swathes of industry was bankrupted). Did you see that David Attenborough was there and gave a keynote speech Atch? I wonder what he thought of the place? The argument for coal is that Poland cannot afford to change....but like a couple in a bad relationship, she (Poland) is not even trying. Basically our goose is cooked anyway. Nobody important really cares as long as GDP rises (which it must, if our society is to function) Catch 22, ad finitum. I think that there is really big point missed with all the discussions about coal reserves lasting 200 odd years, etc etc....and this is the effect that coal burning (and plastic rubbish) has on the population. I would like to see statistics on what percentage of the population suffers from breathing related conditions, asthma, cancer etc as a result of the toxic fumes and smoke produced by burning coal. This to me is the hidden scandal behind the use of coal and it doesn't matter how much the government support the burning of coal or renaming it as eco groszek, there is a real health hazard which I suspect is costing millions in medical treatment and reduced life expectancy. The dangerous pollution levels created by burning coal are invisible and I think that if you could actually see it people would put more pressure on government to change things. Yes it is a cheap option for heating but sadly Poland needs to catch up with other countries who could see the health hazards associated with burning coal many years ago. I suspect that the real reason is that the government are protecting the coal industry to save jobs, keep their votes etc. They need to have the courage to change things. Think of the money that could be saved on medical bills. the government are protecting the coal industry to save jobs, keep their votes etc. The economic facts are that coal will always be the "best" option, until that never-never day when fusion or perpetual motion is realised. The people who take such decisions don't live in central Katowice or wherever, breathing the worst of the pollution from domestic burning of coal, but are insulated in their ivory towers. What European countries individually or collectively do is pretty irrelevant in the face of China,Latin America, India and Africa (more or less in that order) fully industrializing. I suppose Europe is about setting a good example or something but unless Europeans are willing to take a _massive_ hit in living standards for the future in return for the rest of the world staying at current levels then... no, it doesn't really matter. is pretty irrelevant in the face of China,Latin America, India and Africa (more or less in that order) fully industrializing. You can add America to that list......one of the worst offenders - because there is no financial need for them to be the culprit. What makes you so sure that caring for the environment has negative economic consequences? Solar and other green technologies have become important job creators already. Doing nothing is not really an option, if you think about it. Ignoring the problem will result in the destruction of the planet. What makes you so sure that caring for the environment has negative economic consequences? Then there should be no need for regressive punitive taxes that harm the working class. That's like saying the law doesn't apply to me. Actually in the next thirty years China should be overtaking others in cleaner technology, IF the US based argument of higher GDP and more science does in fact lead to a decrease in carbon emissions. I'm with TheOther on this one. Do you have children Maf? All this talk of "We wont accept a drop in living standards" really equates to "Our shareholders will oust us if we don't see year on year growth.."